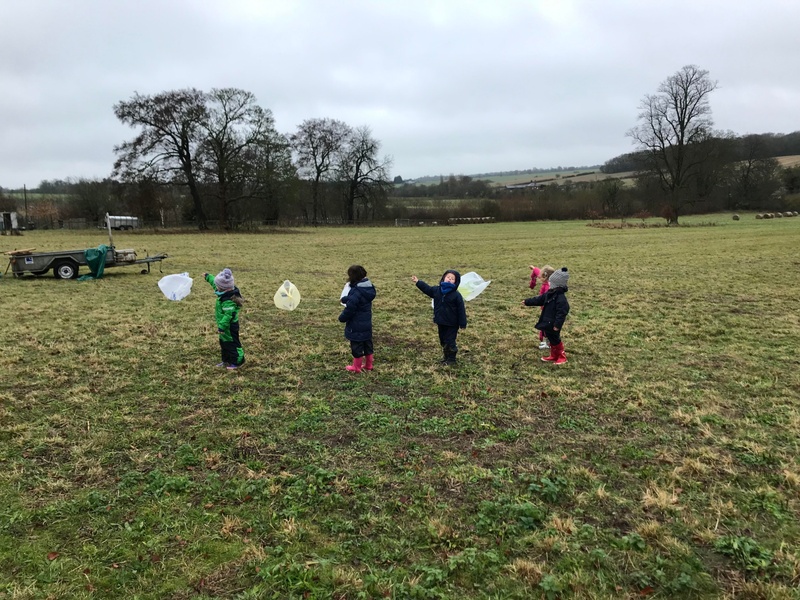 Reception classes from City Pre-Prep, Madingley Pre-Prep and Dame Bradbury's came together on 28 November 2018 for a Forest School collaboration day. The focus for this collaboration day was ‘seasonal change’ and the pupils got to experience a perfect winters day - rain, fog, barren trees and the gusty winds from Storm Diana. 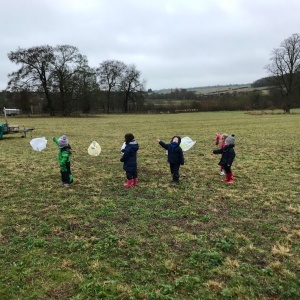 The children enjoyed exploring the rabbit warrens we had found previously, as well as looking at the turkeys, geese and the beehive’s before we finished our walk with a hay bale push race. Once in the woods we discussed the layers of soil, made kites by reusing plastic bags, did some hammering, digging using trowels and climbed the fallen beech tree. In order to leave the woods we had to first do our sit spot and then pay an ‘exit fee’ of a beech leaf for an activity back at school. The children are very excited to see the seasonal changes the woods and the surrounding area experience before we visit again in the spring!